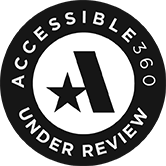 Geared for a wide variety of age and skill levels, we offer hundreds of Lesson Plans designed to meet the National Standards for Visual Art Education and bring the value of creativity to any teaching experience. All original. All free. Help yourself! In the 1970s in Santiago, Chile, a group of women helped bring about social change with hand-stitched tapestries. Inspired by these arpilleras, students can envision changes and tell their own stories. 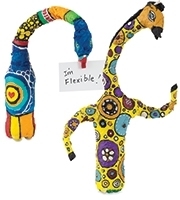 This lesson plan also introduces a new faux-felting technique using a paper clip and colorful polyester fiber. Glue it, cast it, print it! Ingeniously trasfer a hardened glue "painting" into a plaster printing plate. 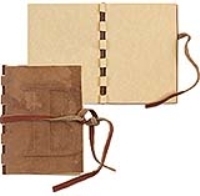 Paper leather can be embossed, distressed, sewn and combined with leather scraps and lacing to look and feel like an antique book. With a simple tab-cut binding, this journal is the perfect home for artistic thoughts and sketches. The Roaring '20s were a time of great economic prosperity leading to an explosion of social, artistic, and cultural exuberance. During this period, Art Deco was born, a style that uses bright colors and precious metals combined with complex, repeating patterns. 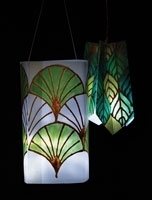 Make an Art Deco-influenced lantern using Chroma Molten Metals acrylic paints to "guild" a pattern onto translucent Yupo paper. Capture the beauty of nature, then add your own artistic touch with a little (or a lot!) of color. The most basic form of hand-forming pottery takes a dazzling new direction - no kiln required! Quotes, inspirations, words of wisdom — if they're worth remembering, they're worth sharing. Forget bar graphs and pie charts! Data recorded as design creates a STEAM-y relationship between art, math and science! 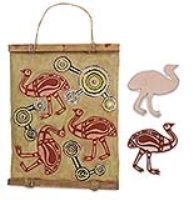 A tree-friendly adaptation of ancient storytelling from Down Under. French Impressionist painter Claude Monet’s Water Lilies are featured in more than 250 of his oil paintings. Create a classroom “Giverny Garden” by arranging watercolor paper petals into overlapping layers and applying liquid watercolors using a variety of techniques. “Finger Paint” with clay and create a modern selfie-style portrait with the look of ancient pottery. 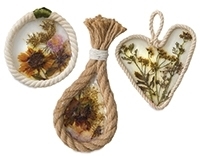 Discover the Japanese art of dried flower “painting” — with a transparent twist. Art has the power to bring the difficult issues of society into full view and to motivate change. This lesson plan first references the game and sport-themed artwork of contemporary artist Derek Fordjour then describes steps for spotlighting a social issue as a board game. As in sports, there are both offensive spaces that move a team towards a goal and defensive spaces that block the way. Not just a brand name, Nike is also an ancient goddess and one of the world’s most celebrated sculptures. Also known as Winged Victory or Nike of Samothrace, she is considered a masterpiece not just because of her drapery and pose, but because of the widespread, windswept wings unfurled behind her. 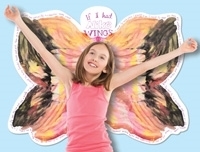 In this lesson plan, students can create a pair of life-sized wings and then envision where those wings can take them and what personal triumph they might achieve! Collect, preserve, and “publish” an arbor anthology! Leaves can be preserved at any time of the year using a coat of Mod Podge. Gather a collection together in a fan-shaped identification book that will last for years! French for “false wood,” Faux Bois refers to artistically created imitation wood grain. These pieces look like they came directly from the forest, but they are carefully carved from clay and toned with layers of brown for a realistic wood look. 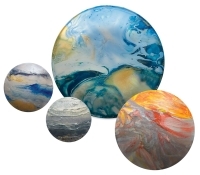 In this lesson, students build a bisque-fired, convex disc, then pour, drip, and tilt to make an “action painting” that looks like the swirling surface of a planet. Create a classroom galaxy! Join the Barn Quilt Trail! The 21st century has seen a resurgence of Barn Quilts, honoring the historic connection between farming and quilting. 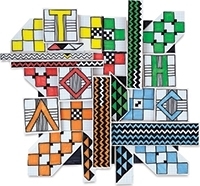 Students can easily create a quilt square without sewing, paint, or glue using colorful, peel-and-stick craft foam. With an emphasis on emphasis, the elements of art and principles of design become a puzzle to be solved. 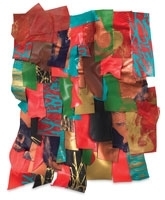 The works of Mexican artist Yvonne Domenge demonstrate the way that the space surrounding a sculpture can be just as expressive as the solid structure. Using Modeling Pulp Board — an inexpensive material that bends when wet and becomes rigid again when dry — students discover form in both positive and negative space. Vintage book pages, dictionaries, and encyclopedias provide the paper for simple foam prints that bring a story to life with colorful illustrations. 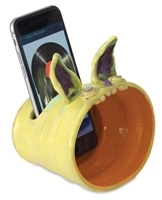 Make a cell phone amplifier by mixing clay with a little bit of science. A cone shape amplifies existing speakers by confining sound waves and aiming them all in one direction. In a honey bee community, one can find a level of cooperation and collaborative teamwork that exists nowhere else on earth. 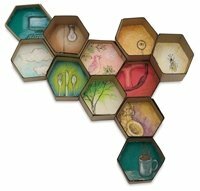 Students consider the people in their “hive” and design a “honeycomb” that credits those who keep the community humming. 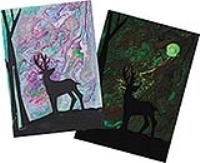 To mimic the colorful ribbons of light viewed in a polar aurora, tempera paint can be poured out onto a surface and manipulated by the force of gravity into unique glow-in-the dark patterns. The addition of a landscape silhouette gives the viewer the information needed to perceive the paint pour as patterns in the night sky. Known as the festival of lights and observed in many countries around the globe, Diwali is a celebration of light over darkness, good over evil, and knowledge over ignorance. 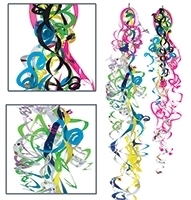 Garlands known as "Toran" or "Bandanwar" are a traditional means of decorating doorways and windows to welcome guests with a bright and beautiful entryway. To illustrate how these fossils are formed, leaves and other natural materials can be pressed into soft clay. While the clay is moist and the leaf is held in place, a layer of “sediment” in the form of lustrous powdered pigment can be finger-applied to create a detailed outline. When dry, these shimmering, colorful “fossils” can be made into pendants, ornaments, charms, and more. 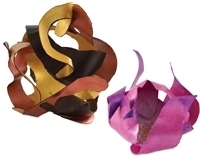 Whimsical, colorful, and much easier than one would expect, these paper creations make festive decorations for mere pennies. A simple spiral cut — a line that starts on the edge of a circle and continues to the center — is the only skill needed. No glue, no extra construction. The secret is starting with multiple conjoined circles. Simple classroom tempera paint can be poured out onto a surface and manipulated by the force of gravity into unique marbelized patterns. It's random, abstract, and a whole lot of fun, so get ready to hear the “oohs" and “aahs"! 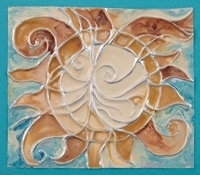 Use sun-powered dyes and block printing to create an easy fabric Sun Deity. Carve the soft block, brush on dye, press onto muslin, and expose to the sun. The colors develop in minutes! Combine various patterns to create clothing and accents. 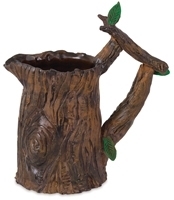 Students can share their carvings across the class for added variety! Yayoi Kusama is obsessed with dots and has been using them since her role as an avant-garde artist in 1960s counterculture. And why not? Dots are fun, dots are fast, dots are universal. They can be rounded or spherical, they can rise above a surface or remain flat. 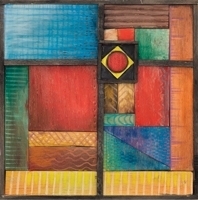 Anyone can start with a dot, diverge to a pattern, and end with a painting or assemblage. The trick is repetition — of shape, sizes, colors, and patterns. 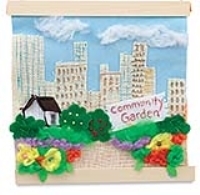 A staple for needle crafts, plastic mesh canvas becomes the base for a textural fiber and wire mash-up. 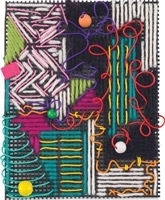 An open-ended introduction to fiber art, this lesson provides students with a means to create a base structure. Once this substrate is in place, students follow their own path of exploration and experimentation, discovering the many ways fibers can communicate color, texture, and form. 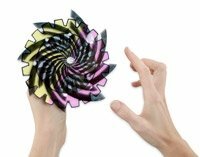 In this lesson plan, students create their own hand-held “fidget spinners” as kinetic art — discs, gears, and designs that rotate around a center axis. 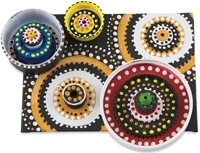 When patterns and colors on multiple layers spin together, they can fool the eye and create colorful illusions. Take one for a spin! 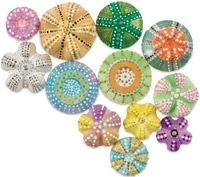 Use the bases of discarded containers to make a plaster sea urchin sculpture. Many bases are already divided into fifths — perfect symmetry for a sea urchin “test”, or shell. Embellish dry plaster by adding dots of paint using a paintbrush handle, detail writers, or a small squeeze bottle. 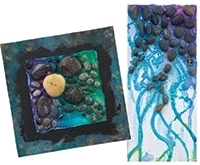 Create an entire colony of sea creatures for the classroom! 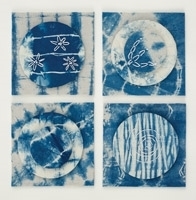 Using the traditional Japanese method of tie-dyeing called Shibori, students create a graphic wall piece of dyed muslin. Tie, fold, crimp, and bind muslin to create gorgeous patterning. Once submerged in the natural indigo dye, the fabric is transformed. Students share fabric patterns that are juxtaposed and embellished with stitching for added interest. Shibori also makes a great t-shirt, apron, or bag! 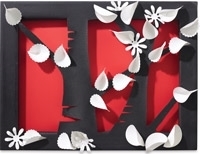 A 3-D cut canvas pops when combined with rolled or folded paper shapes. Based on the work of Italian painter and sculptor Lucio Fontana, students combine 3-D paper forms and a canvas that's been cut through. In this way, the concepts of shape and form are easily visualized. The canvas moves into the realm of relief sculpture and can include several levels, from low or shallow relief to high relief. 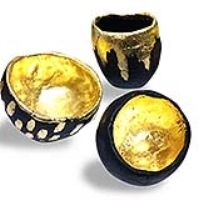 The French enameling technique known as “Champlevé” is a process in which cells are created in metal, filled with glass powders, and fired until fused. 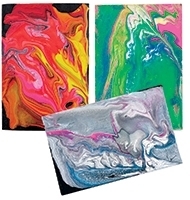 This lesson employs tooling foil and high-gloss paint to achieve a “cold” technique that simulates fused metal. A whole new perspective on the landscape! Create map-like art using readily-available satellite imagery. Can art be random and happen by chance? Or, must it follow rules and be well-planned? This lesson is an exercise in intuitive drawing and writing based on the art of Jean (aka Hans) Arp, a pioneer of abstract art known for making randomness and chance part of his process. 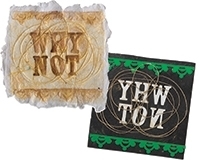 Reed is an inexpensive and easy-to-use medium with diverse possibilities. This process demonstrates how reeds can be inserted into corrugated channels that will hold them in place and easily release them as well. Of the three ancient architectural orders originating in Greece, the Corinthian style is the most ornate. This stylized version has a decorated capital with quilled paper and a fluted column created from corrugated paper. Stained glass artists of the Middle Ages developed vitreous paint that could be applied to the glass surface in much the same way as a canvas. Merging glass art and painting allowed artists to achieve beautiful, back-lit scenes. This process uses acrylic paint and medium to create translucent artwork within a ring.